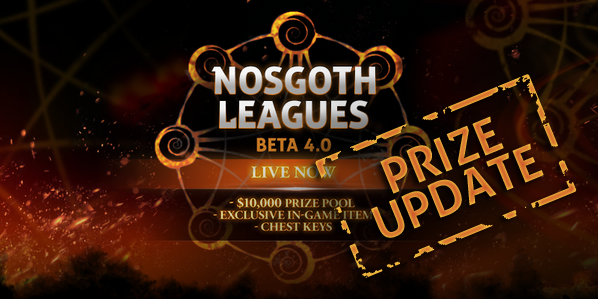 We want to provide you with a quick update with regards to the League Beta 4.0 prizing and its delivery. As mentioned before, all in-game content (including keys and the Sentinelâ€™s new ability, Sonic Boom), will be delivered alongside the next game release. Players who reached Eternal during Beta 4.0, do not fear if you haven't heard from us yet. We have not sent out any emails just yet with regards to your cash prize, as weâ€™re waiting for the next game update to go live before sending out the mail blast. Weâ€™re currently working to crush a handful of bugs before getting the next game update onto your PC. We donâ€™t have a specific timeline as to when thatâ€™ll be as these bugs have proven to be tricky little critters, but weâ€™re working through it as quickly as possible. This delay should not affect the distribution of League Beta 5.0 rewards. No need to worry about that. Apologies for any inconvenience caused, and thank you all for your patience. Last edited by Oghamsmith; 20th Feb 2016 at 19:47. Don't care about leagues stuff, but update is postponed again?! Yes cuz they didnt want to release a big patch with the weekend around the corner incase something buggy would occur. No, I got this. I sensed from this post (as it was posted on Saturday) it won't be Monday and we have to wait even more. Last edited by PhilippedePaco; 22nd Feb 2016 at 13:26.